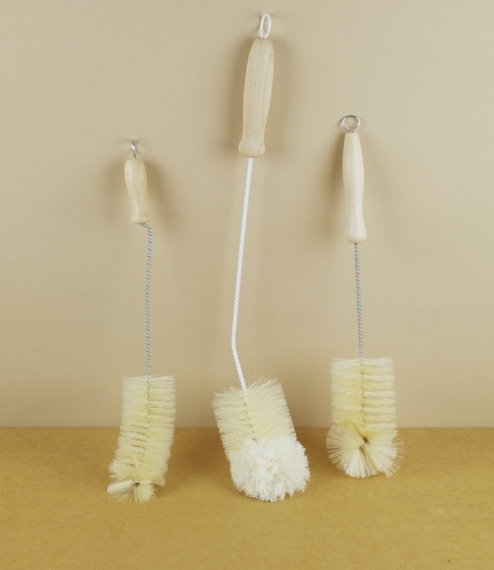 A choice of three wire, bristle, and beech handled bottle brushes from a small German family run company who have specialised in the making of natural brushes since 1935. 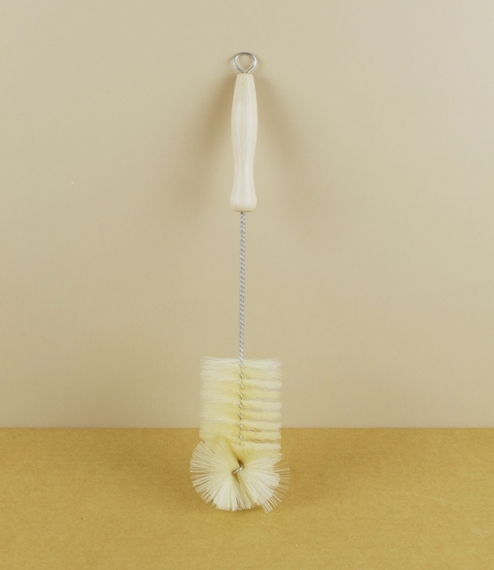 The baby bottle brush is the smallest, having a loose handle and curved stem for the easy cleaning of stubby but fairly narrow necked bottles. The bottle brush is longer and straight, having a fixed handle and more generously bristled head and is ideal for narrow necked aluminium or plastic water and cycling bottles. 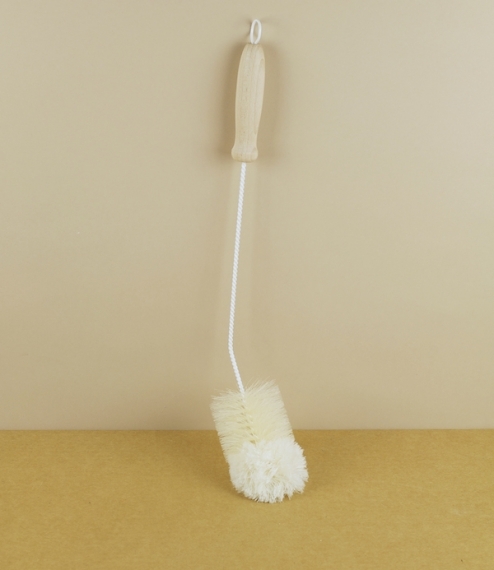 The decanter brush is the largest, having a specially coated stem to help prevent damage to the throat of valuable carafes and is angled and tipped with soft woollen thread to aid the gentle removal of sediments from hard to reach corners. 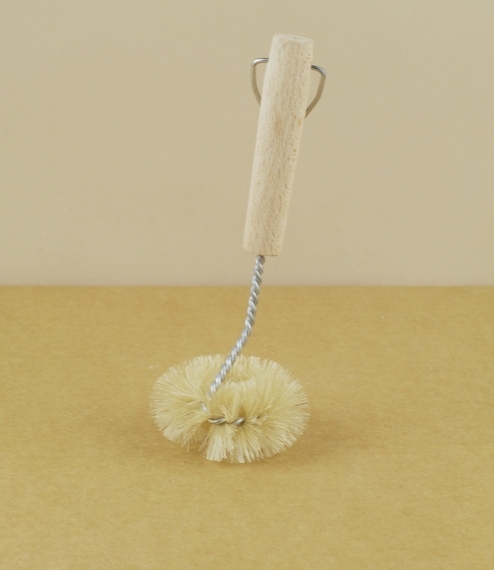 The baby bottle brush measures approximately 32cm in length with a bristle diameter of 5cm, the bottle brush 34cm and 6cm, and the decanter brush 46cm by 7cm.